This book is a biography of Jana Natya Manch (Janam) which was and continues to be a sociopolitical phenomenon. One of the major achievements of Janam was to assert through its work the inseparability of art and politics. Arjun Ghosh has documented the political history of this group with care and competence. He does not share the antipathy to the organized left and has, therefore, been able to approach Janam’s work as a critical historian. This book chronicles the birth and growth of the Jana Natya Manch (Janam), a Delhi-based radical threater group which has been active since 1973. Beginning in the early 1970s, when a group of young students in Delhi sought to continue the legacy of the Indian People’s Theater Association, the book takes a close but critical look at the various phases in the four decades of the theater collective. The author has also captured within these pages the functioning of Janam as an organization, its methods of attracting and training fresh talent, the process of scripting, interactions with mass organizations, the experience of performing almost skin-to-skin with its spectators in the grime of Indian streets, and much more. 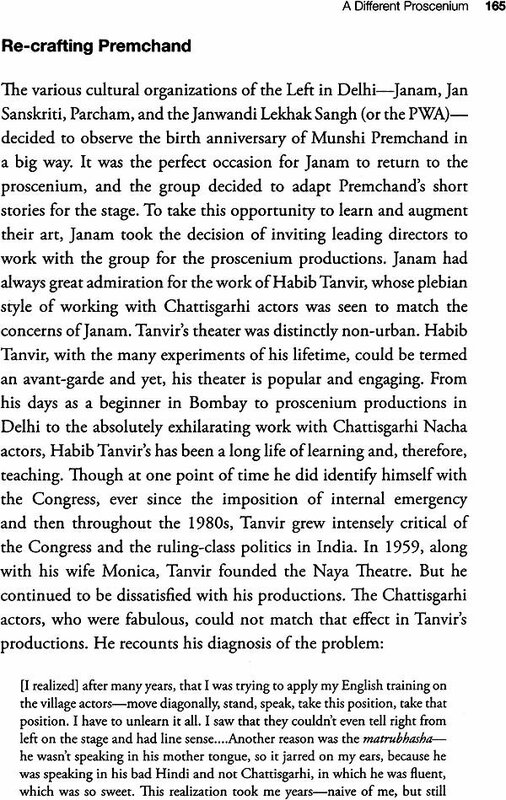 This book is not only a narration of Janam’s history, development and functioning, it is also an attempt to throw fresh light on the practice of theater. Arjun Ghosh is a member of the faculty at the Department of Humanities and Social Sciences, Indian Institute of Technology, New Delhi, India. He completed his doctorate from the Centre for English Studies, Jawaharlal Nehru University, New Delhi, India. Dr Ghosh has worked on organized cultural movements and political open space performances with special reference to the Jana Natya Manch. This is an unusual book. A book on a theater group is rare. In a sense it is a "biography" of Janam (a short form for the Jana Natya Manch, hereafter Janam) , a committed leftwing theater group of Delhi. In India it is not cus- tomary to record the histories of theater groups. Think of a group like Pune's Theatre Academy. It is already history, and yet there is no history of that group which nearly immortalized itself through its nationally and internationally much acclaimed production of Vijay Tendulkar's classic Ghashiram Kotwal. I do not know if histories of Narak Mandalis exist in Bangla or Kannada. 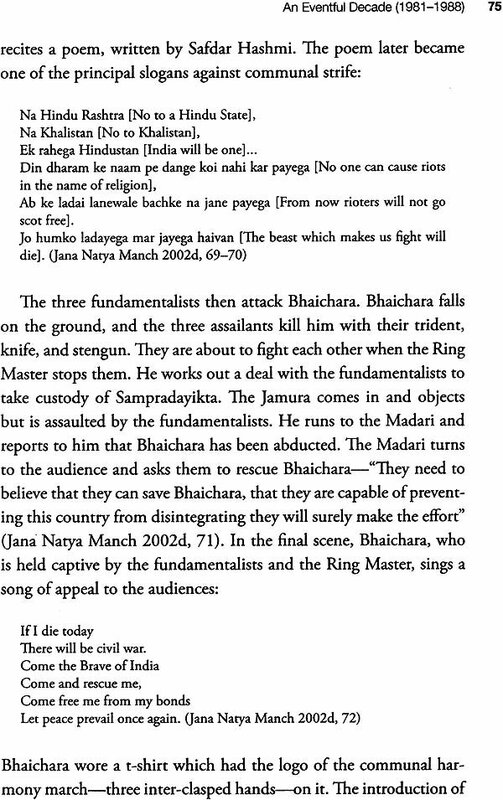 Is there a history of the Gubbi Natak Mandali, for example? I wonder! Indian rheater is rich, varied and mosaic-like. This is all the more reason why it needs to be documented and more importantly historicized. 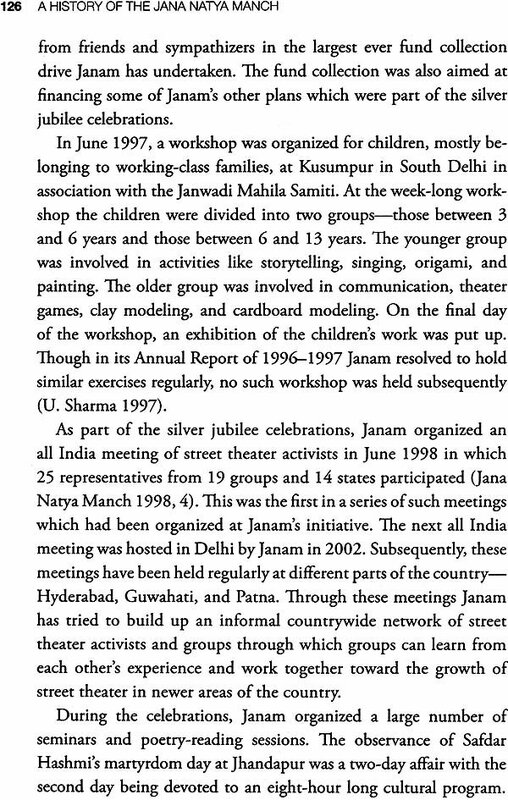 This is even more true of the street theater, Janam started off as a proscenium theater group, then did only street theater for a decade, and is today a part-time proscenium theater group. I do not know of another street theater group in Delhi which has such a rich and consistent experience of the agitprop. 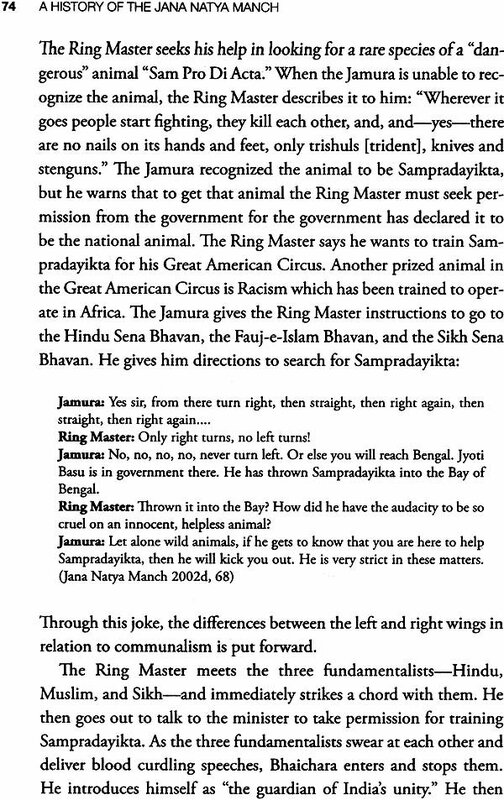 Janam would have got more notice than it actually has, if it were not so clearly sympathetic to the organized Left. Today, it has become fashionable to be skeptical or even contemptuous of the organized Left in our country. It is small wonder then that the Janam has missed big accolades coming its way. It is extraordinary but true that the Left is seen in our country as not a movement, but only a group of political parties, It is important that the Left in India has to be seen as a movement and the organized Left, with all its faults and failures, has to be seen as a legitimate part of it. 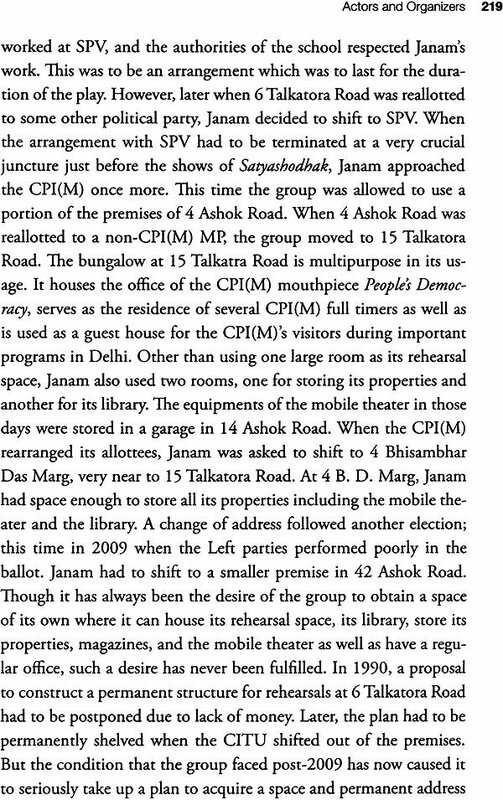 Arjun Ghosh fortunately does not share the antipathy to the organized Left and, therefore, could approach Janam's work as a critical historian. He has documented the political history of this group with care and competence. Safdar Hashrni's martyrdom is well known. But there is a lot more to Janam's history than that. 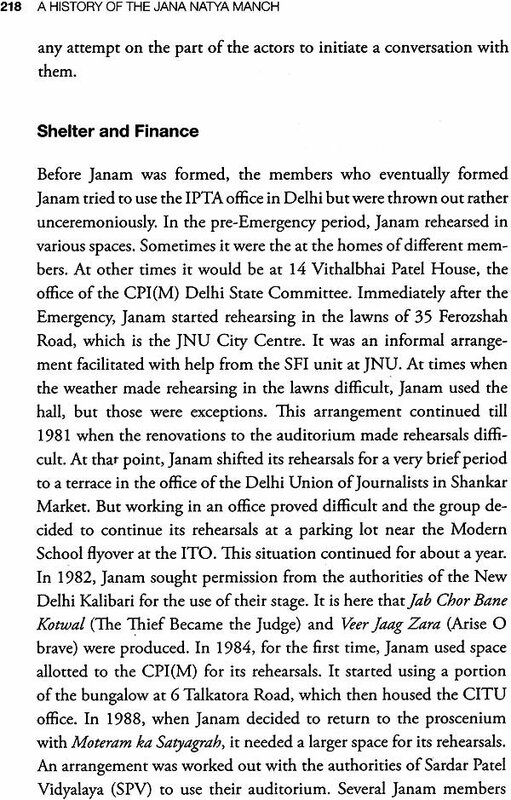 In a sense, all of Janam's work is the history of Delhi in a nutshell. Arjun Ghosh's work traces the entire history of the group, all its tribulations and sufferings over the decades. Arguably, it might have been useful if the vicissitudes of politics in Delhi and, indeed, national politics could have been related with Janam's work. 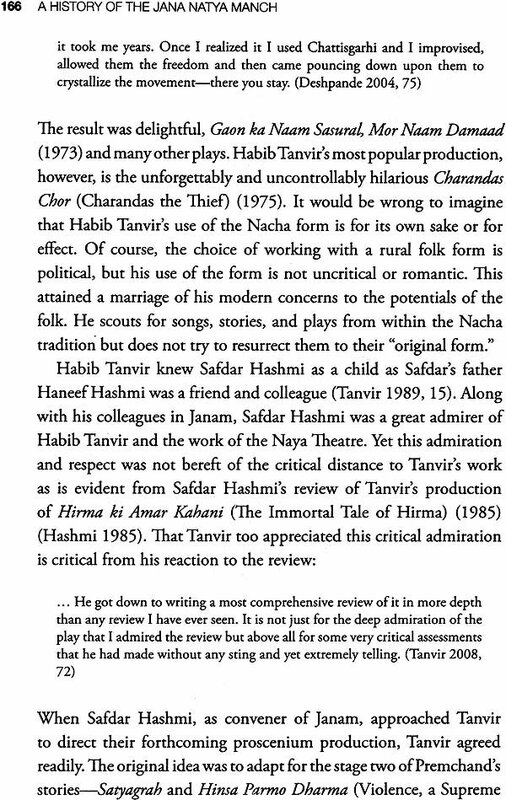 Equally the "why" of plays like Shambukvadh or Satyashodhak should have been explored in some more detail. The questions of caste and uama are not very dear to the traditionalist Leftists' thinking. 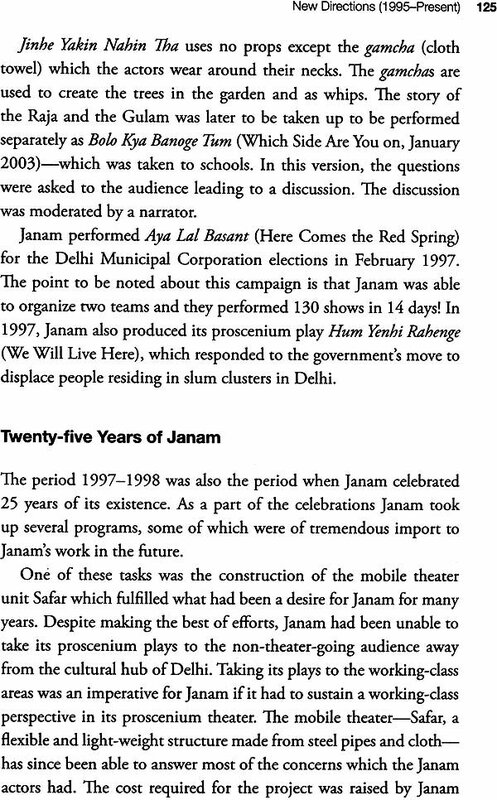 In many ways, Janam was the first Left theater group to have taken a look at the problems of uarna and caste without losing the class perspective. In short, the author's weltanschauung should have been more explicit. All our analysis of the politics of the "other" always reflects, indeed should reflect, our own politics. This book is quite comprehensive. As I said, it is a biography of Janam. It has everything that a good biography should have. Arjun Ghosh knows the difference between biography and hagiography. His discussion remains at the level of biography; .always informative, rarely devotional. Janam was and is a sociopolitical phenomenon. I do not think that communal separatism in the Punjab mattered to any theater or street theater group in Delhi as much as it did to Janam. This book has a small but very informative section on communal separatism in Punjab. The picture emerges loud and clear as the author goes on to relate to the situation in Punjab through the plays of Janam, a kind of performative history of separatism, if you will. This kind of analy- sis places Janam's politics as much in the center as its theater. One of the major achievements of Janam was to assert through its work the inseparabiliry of art and politics. This was true as much of its music as it was of its texts. Satyasbodhak is a case in point. It is a bio-play on the life of Jotirao Phule. It was, properly speaking, a musical. In fact, it was constructed very much in the sryle of a Satyashodhaki [alasa (a theater form generated and developed by the Saryashodhak Sarnaj, a movement for social equaliry and for improving the production conditions in Indian ag- riculture, so to speak). It is necessary to record that Satyashodhak was, in a sense, a national revival of the famous Jalasa. The play did very well in terms of audiences, both in Hindi and Marathi. It was a good case of the artistic and the political going together. When Phule wrote his play he wanted the artistic to be political. Janam's play did the same. One last comment on the position taken in the tide of this book. Of course this position permeates the discussions in the book throughout. It talks of "plays for the people." I would submit that it has to be altered in our times. The issue today is not plays. It is poli- tics. Politics is being made simplistic. It is being placed on a moral and non-class pedestal. The recent Anna Hazare drama in the capital is as good a case in point as any. We have theater for people. We need politics for and of the people. Symbols have always played a very important role in the politics of modern India. At the very initial stages of mass politics in India, during the movement against the Partition of Bengal, the latent anger against the British was crystallized in the form of the boycott of foreign goods and burning of foreign clothes. Rabindranath Tagore adopted the Rakhi as a symbol of Hindu-Muslim brotherhood. Arguably the most potent symbol which inspired a mass movement against the British was Salt. In Salt, Mahatma Gandhi had discovered not only a symbol but an extremely concrete material which could be identified by each and every individual in the country, irrespective of the cultural diversity. Working behind this symbol was a complex analysis of the drain of wealth and colonial subjugation. But Salt was neither purely a symbol nor an analysis. It achieved a unity of analysis and a plan of action. Khadi and the Charkha were other such symbols used by Mahatma Gandhi. Along with symbols, literature and art also worked to inspire people to join and support the national movement. The literature was so effective that a threatened colonial administration imposed bans on scores of novels, plays, and songs. 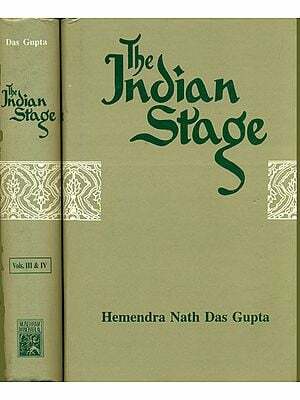 Indians had set up independent printing presses and theaters to help the growth of nationalist theater and literature. Since Independence, the rulers of modern India have used symbols to mobilize public support for policies-the dams and factories as temples of modern India, the slogan of "[ai Jawan, Jai Kisan," the Green Revolution and the "Hand" as the election symbol of the Congress Party. But it was in the late 1980s and in the 1990s that we witnessed a surge in the use of symbols in politics. This was the period of the rise of Hindutva in India. The Ram Mandir and the slogan-"Mandir wahin banayenge" (we will build the temple there itself)-captured the imagination of millions and galvanized support for a Hindu nation. The organizations that led the movement displayed a tremendous inventiveness in projecting symbols of Hindu identity. The call for Hindus of all villages and localities to contribute a single brick for the Ram temple, the distribution of bindis, caps, and stickers with pictures of the proposed Ram temple and the Rath Yatra were symbols which helped the Hindutva forces to the control of state power. Along with visuals, cassettes of songs and speeches in support of the movement proliferated. The pro-Hindurva organizations en- couraged various cultural practices which enabled them to consolidate support. Temples in every nook and corner and prayer rooms in offices and commercial establishments grew exponentially across north India. Hindu worship, which was primarily individual and family-based, became occasion for community-level congregation. And, as a long term and extremely effective strategy, schools like the Saraswati Vidya Mandir were set up across various states to inculcate Hindutva values among children. Recent researches have also shown how there existed an organized intervention of the Hindu Right in the electronic media. The late-1990s witnesed an academic response to the rise of Hindutva in the form of a huge number of tides which studied the various angles of the rise of the Bharatiya Janata Party (BJP), the Rashtriya Swyamsevak Sangh (RSS), and its front organizations. Some of these tides also traced the factors responsible for the rise of Hindutva to the nature of colonial rule in India and the movement for political independence. 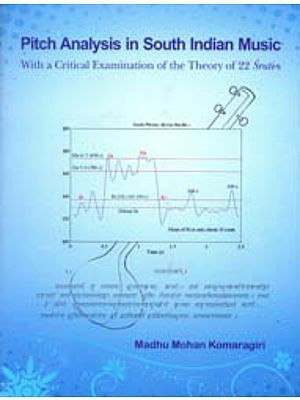 A large number of these studies focused on the role of ideology and cultural hegemony in the ascent of Hindutva. This was an attempt to understand the methods cif consolidation of reactionary value systems and developing a pathological nationhood. It is at this point that I developed an interest to study- ing the possibilities of countering the hegemonic forces. I wanted to study the strategies through which a progressive politics could intervene in the process of identity formation and mobilize people in its favor. The cultural strategy of the Hindu Right was to strengthen reactionary values and relations that already existed within the society. The Left, if it wanted to consolidate, would have to identify and consolidate progressive values in the society. It would, in many cases, have to recover progressive practices and texts and, in other cases, have to pose new values. I was eager to study the breaks and the con- tinuities with tradition which were involved in this process. 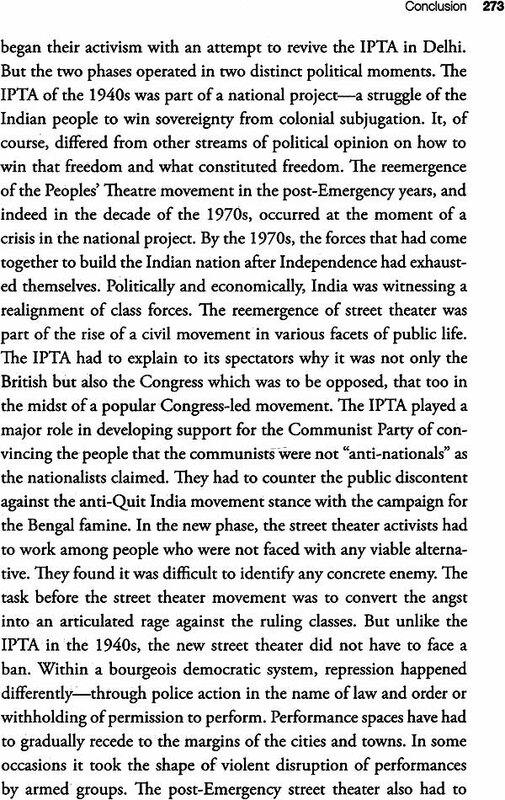 Historically, due to the influence of the Indian People's Theatre Association (IPTA) and the many stalwarts who were part of the cultural movement led by the IPTA and the Progressive Writers' Association (PWA), socialist ideals held a great sway over popular Indian cinema and the theater over the first three decades after Independence. This influence, however, was not an organized movement but was based on certain individuals. But, in the face of the weakening of the Soviet Union and the ascent of neo-liberal ideas, such influence of socialist ideals could not be renewed. 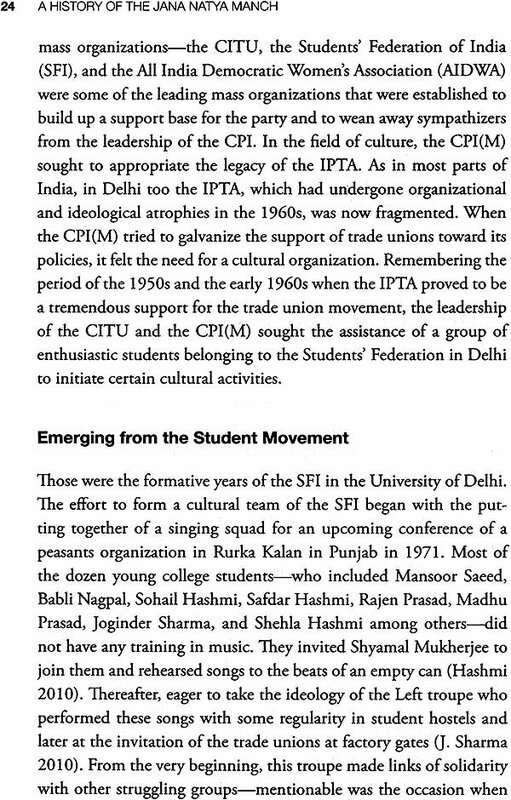 The IPTA and the PWA continued to be the real tradition of an organized Left cultural movement in India. The Jana Natya Manch (in short, Janam or "Birth") and a few such organizations in India were the inheritors of the legacy of the IPTA and the PWA. Among the various performance activities undertaken by these groups, street theater is an activity which requires maximum collective effort and coordination among individuals. It, therefore, allows greater scope for me to observe and analyse various aspects of the politics of artistic production. 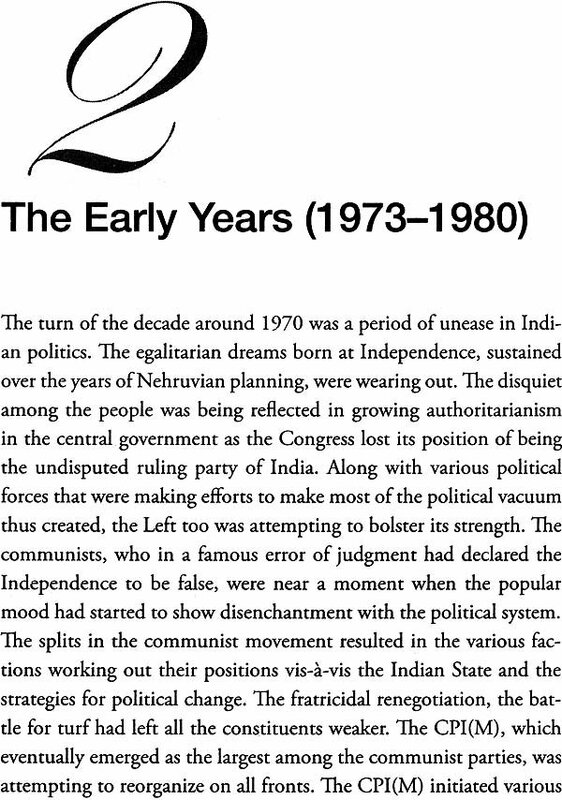 But, by the time the Janam came into existence, the Left movement in India had undergone multiple schisms. There never was any all-India cultural organization of the Left again. The reinitiations of the movement in different parts of the country were independent of each other. I chose to study a particular group in its entire history. There were obvious logistic reasons for the choice of Janam as the subject. I was a researcher based in Delhi, the city where Janam operates. Since, most Left cultural groups operate in languages of the particular region where they are based, I could only study groups which operated in the languages known to me. This was another reason for me to choose Janam. 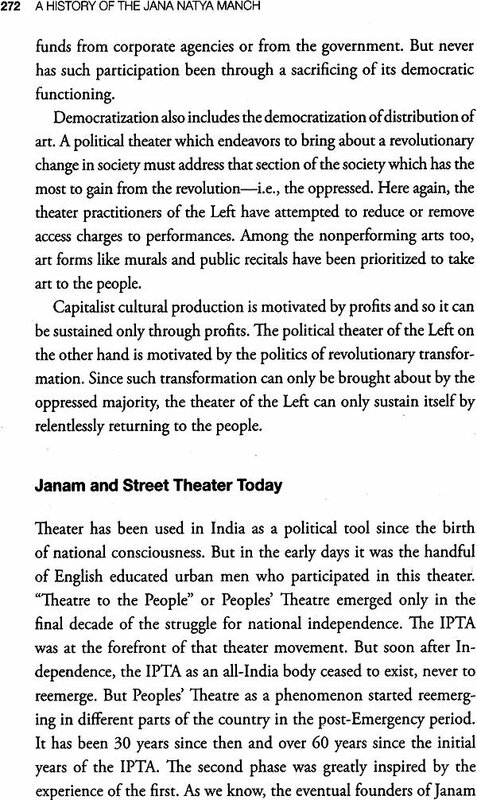 Delhi, being a place where the Left was organizationally weaker and not in any position to lend state assistance to theater groups, suited my research objectives. I was more interested in strategies of the Left cultural movement under greater degrees of adversity.